An announcement by Rolls-Royce Motor Cars that it is to make its first foray into the SUV market has put the motor trade industry in somewhat of a spin. The super-luxury car maker has traditionally focused solely on top of the range sport cars but the British company has now revealed that it is going to be producing a suburban utility vehicle (SUV). 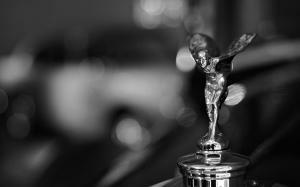 In confirming the news, Rolls-Royce sought to stress that the new type of car will still adhere to the same high standards of the rest of the company's models. For motor traders who are considering following in Rolls-Royce's footsteps by diversifying the range of cars they sell, it is important they ensure their road risks insurance policy still provides an adequate level of cover. For example, classic cars or high performance vehicles might require a particular type of road risks insurance to ensure dealers or mechanics can drive them as part of their day-to-day operations. In delivering the news of its upcoming SUV, chief executive of Rolls-Royce Motor Cars Torsten Mueller-Oetvoes wrote in an open letter: “I am proud to confirm that Rolls-Royce Motor Cars is developing an all-new, high-bodied Rolls-Royce designed to satisfy the contemporary, highly mobile lifestyles of our discerning clients around the world. No time has been given for the new release at this stage.